Online shopping might be the best thing to happen to the average shopaholic, especially for those who are too busy or too lazy to leave their humble abodes. 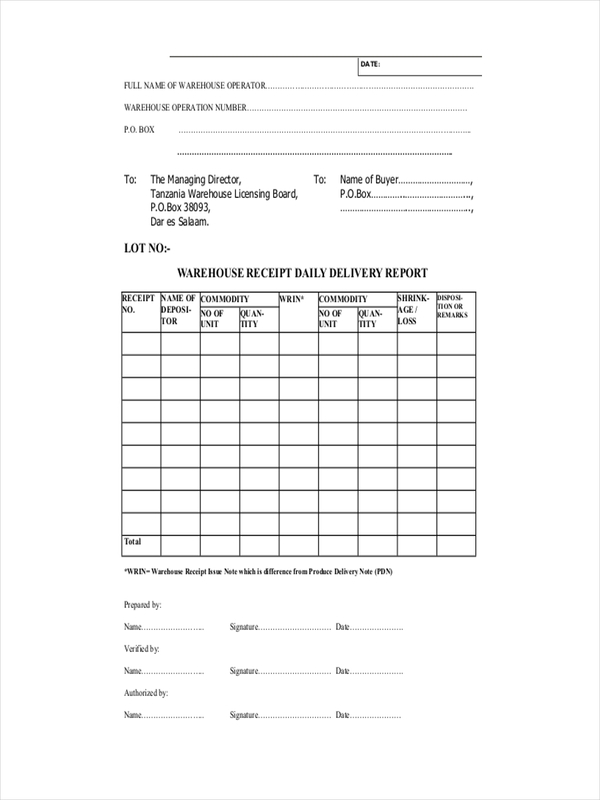 You find what you want, fill out a form, then wait for your item to be delivered. It’s quick and easy. When the day comes, you’re given a receipt along with your package. Most people would disregard this piece of document. So, what’s the point of a receipt, anyway? We commonly associate sample receipts as something we receive after we purchase an item or avail of a service. However, there are several types of receipts that are used for different purposes. For example, a deposit receipt is a document that indicates that a person has successfully paid an amount. On the other hand, a delivery receipt is given once an item has been delivered to its recipient. 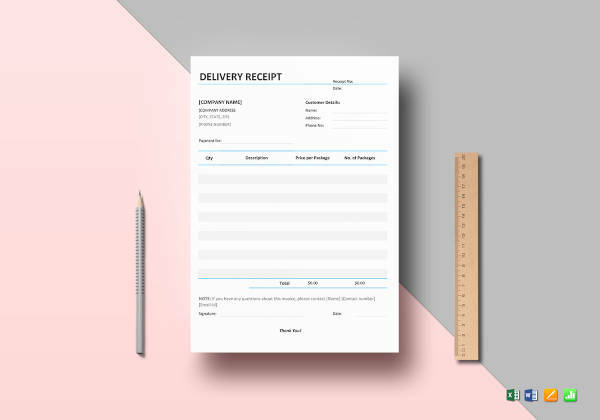 A delivery receipt is a paper report that is presented to a recipient as a proof of transaction. It also indicates that a delivery has been successfully carried out. Most delivery receipts compose of two copies, one is given to the recipient and the other is kept by the courier. 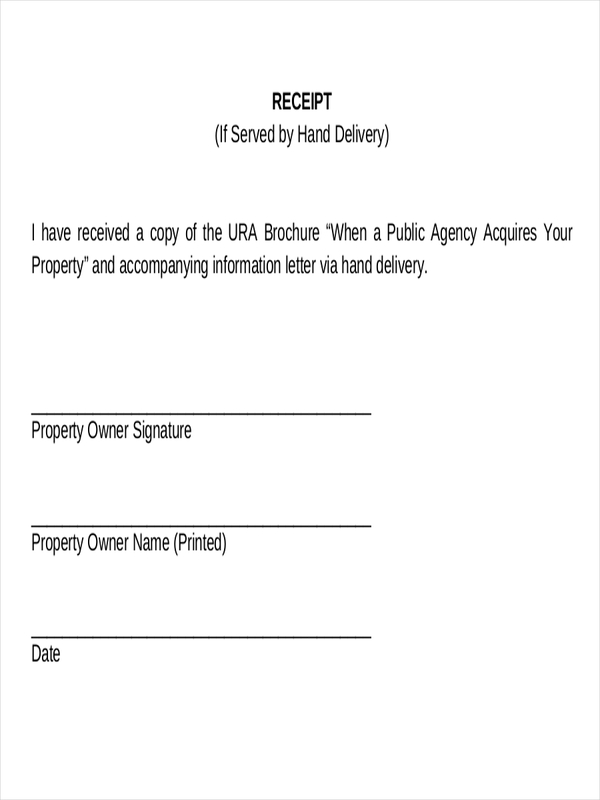 The courier’s delivery receipt is usually signed by the receiver to rightly confirm that an item has been received. Just like other receipt examples, such as a donation receipt, a delivery receipt is utilized for formal confirmation. 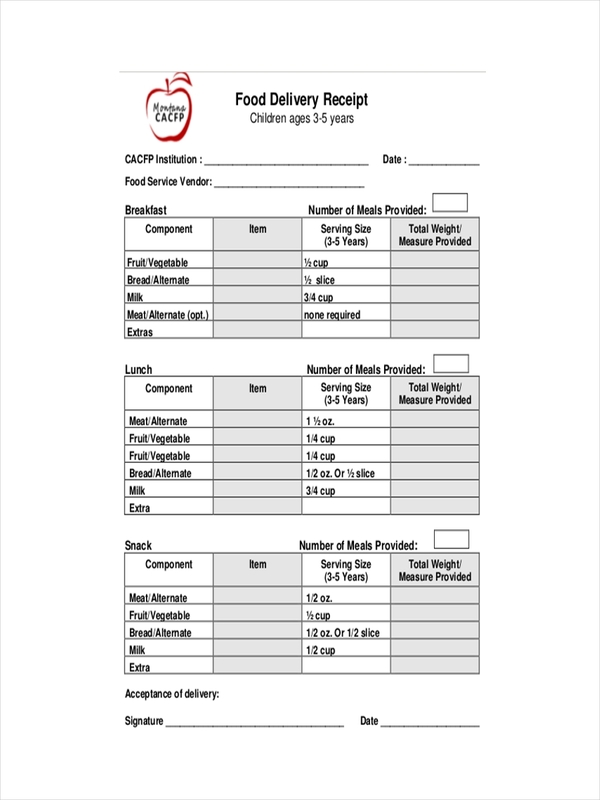 How to Write a Delivery Receipt? A delivery receipt’s content may vary. 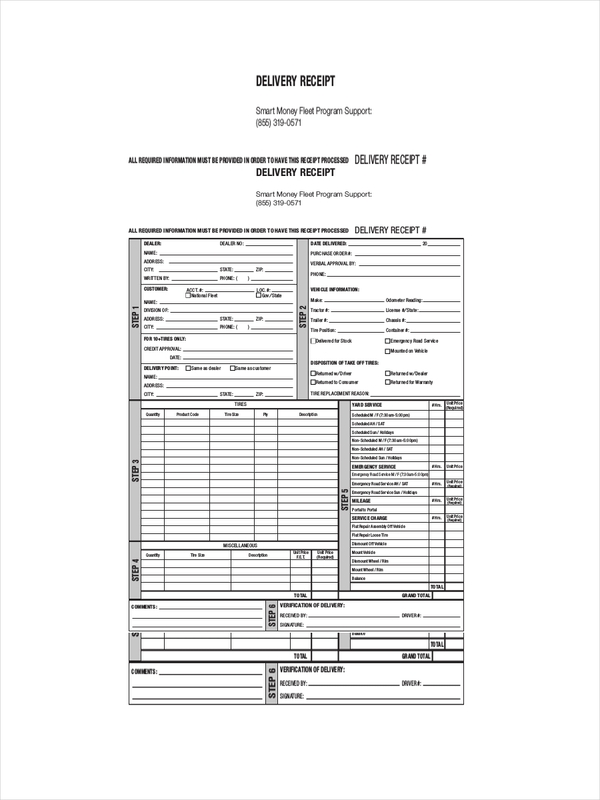 The content of such business receipt may be beneficial to either the company and the recipient. To write a delivery receipt, ask for the necessary information. 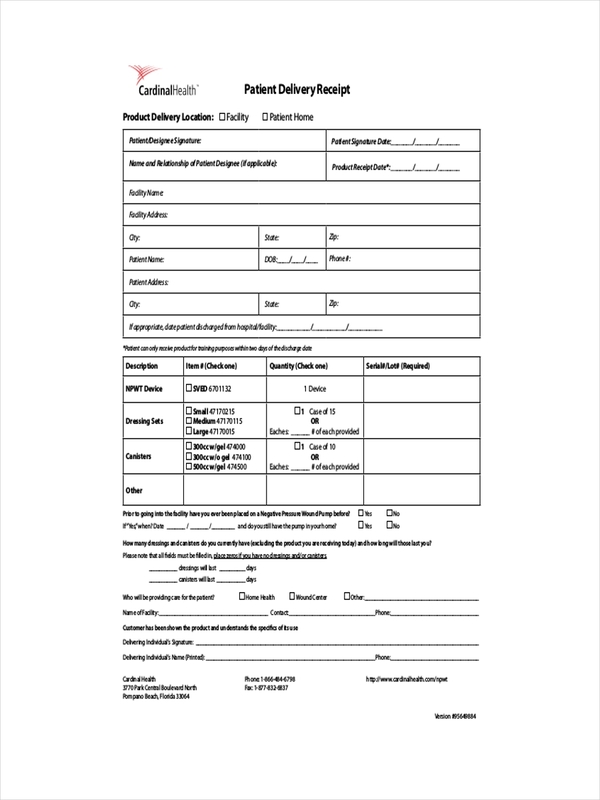 A delivery receipt typically requires a recipient to provide personal details for proper identification. The receipt should ask for a receiver’s signature for appropriate verification as well. The date of delivery should be indicated as this may be useful for both the recipient and the courier. To make the receipt appear more official, use a company stamp or print the company’s name and logo. 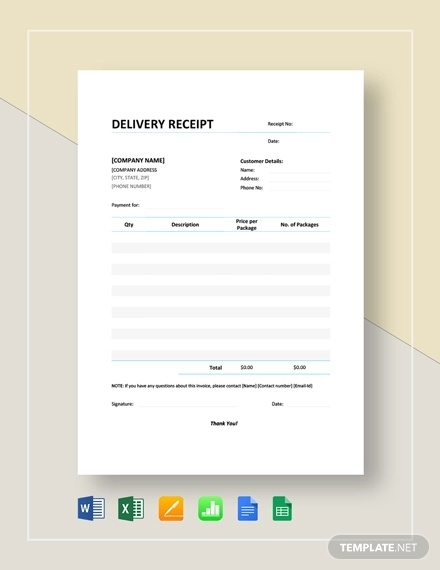 Like most receipt examples, a delivery receipt serves as a clear evidence of a transaction. It is a method of formally acknowledging a delivery made. 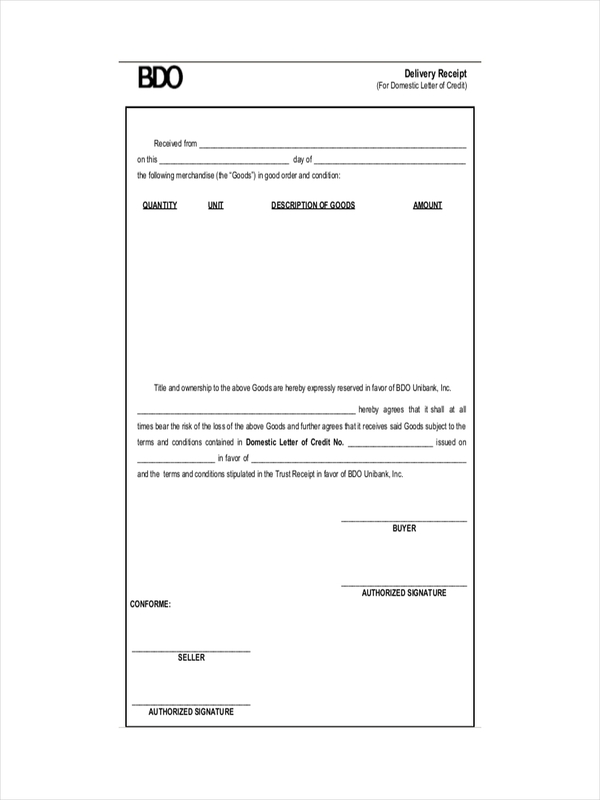 This may come in handy for possible damages caused by the courier or legal disputes that may be involved. It can also be important for companies and customers to record and to monitor shipments made. Unfortunately, receipts are often disregarded and disposed immediately after it is received. List both the sender and the receiver. List the items delivered and add a short description for each. Indicate any additional costs and a price breakdown. State other important details of the transaction.